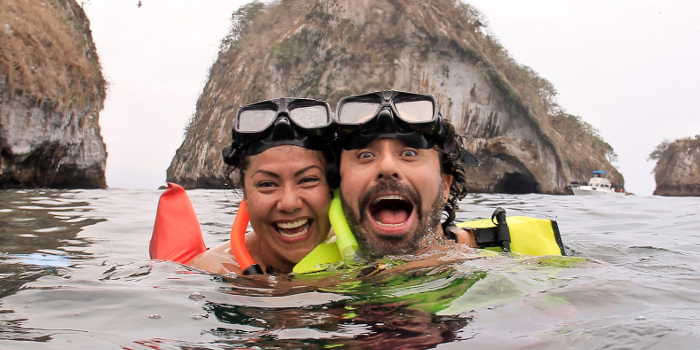 This sail and snorkel adventure to the amazing marine preserve at Los Arcos, a pristine marine sanctuary, is ideal for a vacationer who can only spare a half day to enjoy a snorkeling excursion. It is the perfect trip for someone who would like to do some snorkeling at the world famous snorkeling destination in Bahia de Banderas (Banderas Bay) but has a busy vacation itinerary. This is a popular tour with cruise ship patrons on a brief stopover in the amazing resort destination of Puerto Vallarta. Our bilingual crew will welcome you aboard our sixty-eight foot sailboat, the Elias Mann. You’ll journey south from Puerto Vallarta, cutting across the smooth waters of Banderas Bay. This voyage across the gorgeous waters of this massive body of water is a sightseeing tour unto itself. As you enjoy a tropical cocktail from our open bar, you will appreciate the natural beauty of this region. The lush foothills of the Sierra Madre Mountain range roll up to the picturesque beaches of the bay. If you would like to see marine life in its natural habitat, this is the tour for you. Depending on the season, you may see marine mammals like humpback whales, sea lions, and dolphins, including Pacific bottlenose, spinners, and spotted species. Huge Mantas may even breach the surface. As you approach the towering granite structures of Los Arcos as they rise above the surface of the water, you will be amazed at their dramatic seascape at this site. 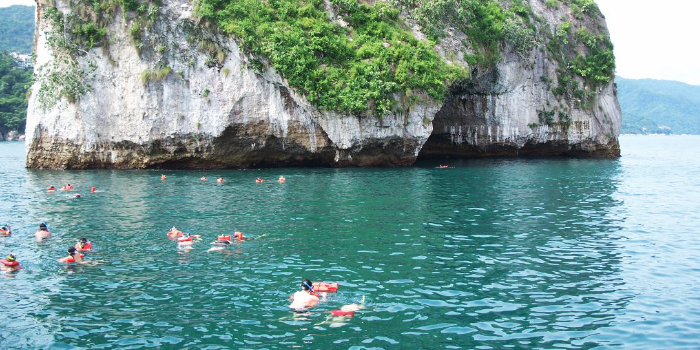 Once we weigh anchor at Los Arcos, trip turns to snorkeling. The teeming coral reefs that surround these rocky isles provide a thriving habitat for an abundance of maritime life, including a kaleidoscope of prismatic fish. 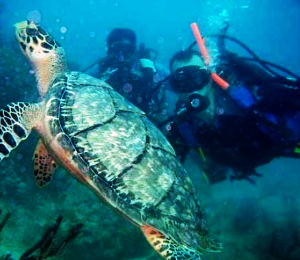 You may also see eels, Olive Ridley Turtles, an octopus or two, and dainty sea horses. 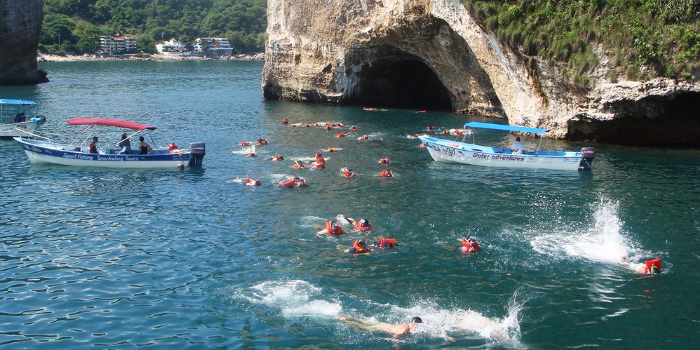 This excursion out to these unique islands could be the apex of your Puerto Vallarta trip. I have been to the Bahamas many times, but Los Arcos Sail & Snorkel is one of my favorite trips! It includes everything that everyone should do here. As a Bahamas veteran, I can say only the best about this experience!